Energy losses usually occur with doors with varying ambient temperatures, especially outer doors. 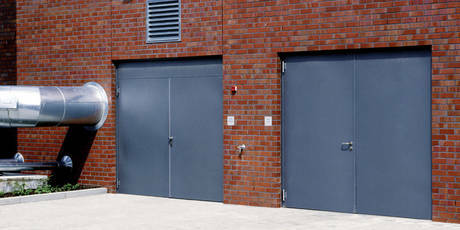 The double-skinned, heat insulated steel doors from Teckentrup provide effective protection. A clever design and first-class material and workmanship ensure perfect heat insulation and particularly robust and secure doors. Teckentrup heat insulated multi-purpose doors made of steel, with multi-functional protection, can be used in almost all industrial, commercial, public, agricultural and domestic areas.